Mother’s Day is fast approaching and with it comes the perfect opportunity to pamper your mum and let her know how much you love her! Instead of the usual flowers, perfume or retail vouchers, why not spoil her rotten with an incredible cruise package from Cruise 1st? From whirlwind three night getaways to full on northern hemisphere adventures, the experts at Cruise 1st have your 2014 Mother’s Day gift sorted! Departing from Sydney, the Food and Wine cruise will give your mum three fabulous nights on-board the Pacific Jewel. Here she will be treated to unforgettable food and wine experiences encompassing delectable a la carte menus, live culinary demonstrations from celebrity chefs, barista training courses, the opportunity to take part in master classes and insight from a team of professional wine connoisseurs. If your mum lives in Sydney it’s wonderfully convenient and if not it’s the perfect opportunity to let her explore Australia’s most cosmopolitan metropolis! This six night cruise is another speciality gem from P&O and will whisk your mum away to Melbourne where she can soak up all the action at the world’s most prestigious horse race. The cruise is a one off departing on November 1 which gives you mum plenty of time to shop for a stunning dress and showy racing hat! If your mum still keeps up a busy schedule then this three night cruise makes for the perfect mini getaway. 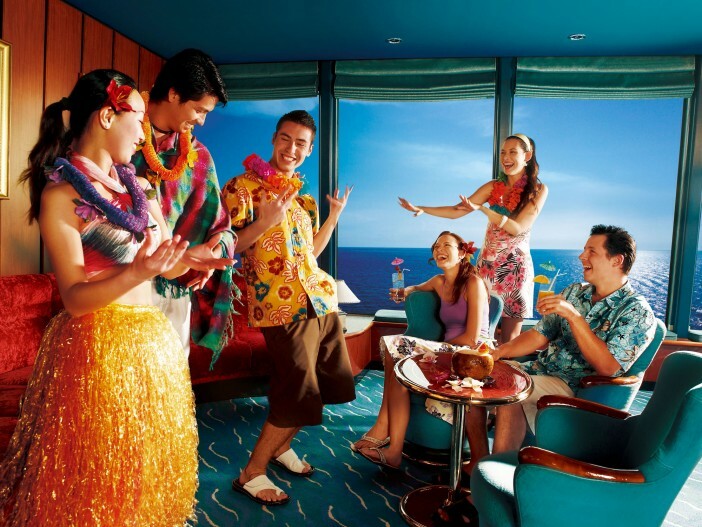 From dance classes to juggling lessons, the Lifestyle cruise offers workshops to suit all interests! If your mum has always had a taste for adventure this could be the gift of all gifts! Running for 18 nights and calling at exciting destinations across the Polar Regions and South America, this exclusive Celebrity Cruises itinerary will have your mum positively speechless! This three night cruise on-board Captain Cook Cruises’ P.S. Murray Princess will delight any mum that loves beautiful scenery and a relaxed atmosphere. Renowned as a national Australian icon, the Murray offers passengers a taste of unique flora and fauna as well as insight into the country’s rich historical legacy of riverside ports and indigenous culture. If your mum has always wanted to see the sights of Europe and the Mediterranean this seven night cruise on-board the MSC Lirica could be the perfect opportunity to make all her travelling dreams come true! Calling at famous ports such as Italy, France, Tunisia, Malta, the cruise offers an intriguing mix of cultures and experiences that your mum will remember forever. This 12 night itinerary from Norwegian Cruise Line is ideal for mums that have a passion for all things tropical! The cruise takes place on-board Norwegian’s Pride of America and will have your mum returning home feeling relaxed, revived and gorgeously tanned! With winter fast approaching, why not whisk your mum away to the wonderfully warm Asian climate that sits right on Australia’s doorstep? The departure port of Singapore is just a short flight away and will see your mum spending 15 glorious nights on-board the Celebrity Millennium. Despite its close proximity, many Australian’s have never been to the country’s pint sized southern island. If your mum has always wanted to venture to Tasmania, the seven night cruise on-board the Sun Princess is the perfect way for her to visit the region in luxury. Mum’s over 55 will be in their element on this specially designated seniors cruise from Royal Caribbean International. The seven night voyage on-board Rhapsody of the Seas departs from Sydney and calls at the spectacularly beautiful New Caledonian ports of Isle of Pines and Noumea. If your mum loves sun, sand and dazzling blue waters, this is the ultimate in Pacific pleasure! No matter what your budget, Cruise 1st has the perfect Mother’s Day cruise package that will let your mum know just how much she means to you! For more information, please our cruise packages or call on 1300 857 345 today. Happy travel. And have a fantastic Mother’s Day! Images Sourced Via Wikimediax Commons, Flickr Creative Commons, Star Cruises Press Centre and Norwegian Cruise Line Media Center. Credit: Star Cruises, IgnorantArmies, Tourism Victoria and Norwegian Cruise Line.